Clothes aside, it's hard to imagine conquering fall without warm lip colors and lush lashes. 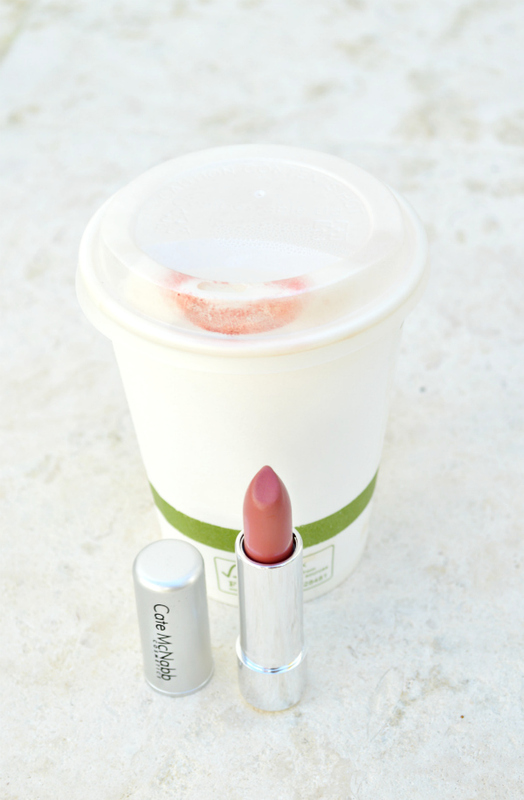 Currently claiming the top spot of my favorite lip shades is the newly released Guava lipstick from Cate McNabb. So far, its managed to be the perfect compliment to the better half of fall wardrobe. For those of you who aren't familiar with Cate McNabb's natural, certified cruelty free, beauty products, be sure to check out my previous post here. Their lip colors are infused with nourishing natural ingredients like shea butter, olive oil, jojoba oil, and sunflower oil, for a bold and natural lips that always shine. And their gel liner (pause for siiiiigh) is my FAVORITE beauty item ever. Having boycotted liquid liner for the past decade after a "painful" eye-irritation followed by the typical teenage melodramatic tear-fest years ago, I've stuck firmly to crayon style liner... until now. This gel liner is super smooth and crazy easy to apply, even for a beauty beginner like myself. Their pressed powder is also a product to be treasured, perfect for setting your foundation and blurring imperfections. If you're looking to freshen up your beauty routine or add some trendy fall colors to your makeup bag be sure to check out Cate McNabb! Love this outfit and the lip and nail colors are perfect! That lipstick is stunning. Will have to check out their stuff. great post.you never let me down. i love the outfit..you look so pretty! I loved your outfit Anna. great look.So chic, gorgeous and elegant. Loved how you have added a hint of berry colour with those flowers. Amazing pictures..Great shade of lipstick. The powder looks great. Will have to try some. Cate Mcnabb sounds awesome. I'm a big supporter of any brand that doesn't test on animals. Great products, thanks for sharing!! Love your monochrome look, so soft and pretty. You look beautiful. I've been looking for a new pressed powder. Gorgeous and I love the colour of that lipstick!! You are sp pretty and the products are great. Great outfit! Love the muted colors! I think it's so important to buy cruelty free products! Also loving that sweater on you! You look beautiful! I'll definitely check out these cruelty-free cosmetics! What a great lip color! I'm always looking for a good neutral. I've never heard of this brand before. Thanks for sharing. Your makeup always looks beautiful. I love your pretty blush skirt and the color of your nails! great photos! i love that cute door in the background! perfect outfit! you look lovely! That lipstick color is so pretty! Love all this neutral/blush on you! That powder sounds great. I have really sensitive skin so I can't use drug store brands, they make me break out like crazy. I will have to check out this company. That lip color is so pretty and looks adorable paired with those flowers. Don't you just love fall colors? Thanks for sharing these makeup products. I love the natural look it gives you. You look beautiful in this look. gorgeous photos. definitely have to give these a try the next time I'm out and about. thanks for sharing! 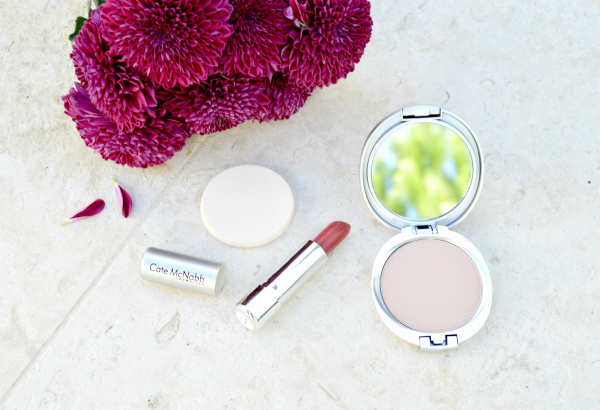 You have mastered the blush and neutrals in the fall! I love those flowers too!! Such pretty shades on you! I just purchased a new fall lip shade, instant gratification!! Great post. I love the nail polish and lip color! Cute! I love the flowers in the purse! Such a great outfit! I love this post and your outfit! Love the light colours you're wearing here. They look really great! These pics are magazine ready, truly editorial work. I love the placement of the items and the colors..what you are wearing mixed with the blood burgundy of those flowers! Amazing! I love your cable knit sweater and that skirt is so beautiful! Have a wonderful weekend! Such a sweet feminine look! Thanks so much for introducing a new beauty brand! I'm always on the lookout for brands I'm not familiar with, and this one sounds really awesome :) That lip color is so pretty on you, too. Hope you have a great weekend! I have to try that gel eye liner. It looks like it would be great for a good cat eye. Oh I love the soft pretty colors of your outfit and that lipcolor is just perfect! Thanks for stopping by my blog and the nice comments. I see we both have a soft spot for pink! Lovely feminine outfit! The mix of soft shades is very nice! You look so effortlessly chic. What a beauty! That lip color is beautiful on your pale complexion. 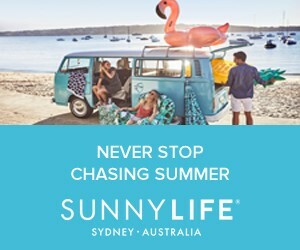 I've never heard of this brand, thanks for sharing. So feminine and natural! Love it all! That is the most beautiful shade of muted pink! Definitely going to give this line a try! loving these pictures, you look great! Beautiful outfit with perfect lip color! You are stunning! These photos are absolutely beautiful!! Great review of the lip products. Need to check them out. 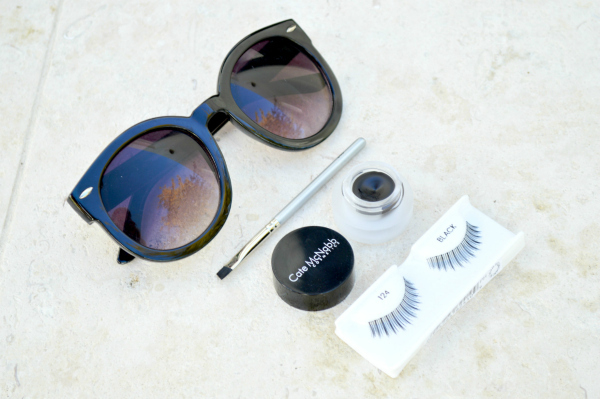 All of the products look very user friendly and good for an everyday look. Adorable, as always! Love these colors and the textures of both the top and skirt! I'll have to get me hands on that liquid eye liner. 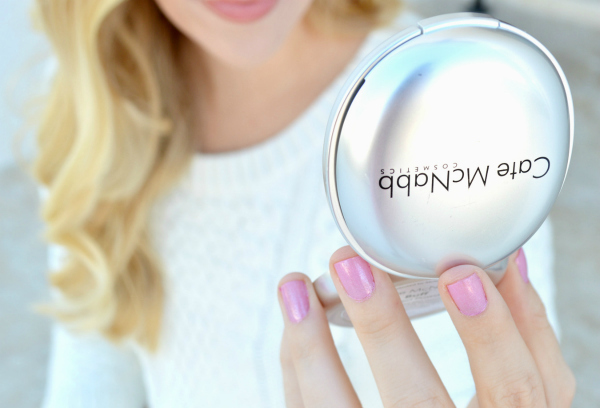 Your makeup always looks perfect. Just gorgeous! Love these soft colors! I love this blush and peach look, so pretty! I love the name of the lipstick. It is so unique: guava. You're so gorgeous...and very classy! 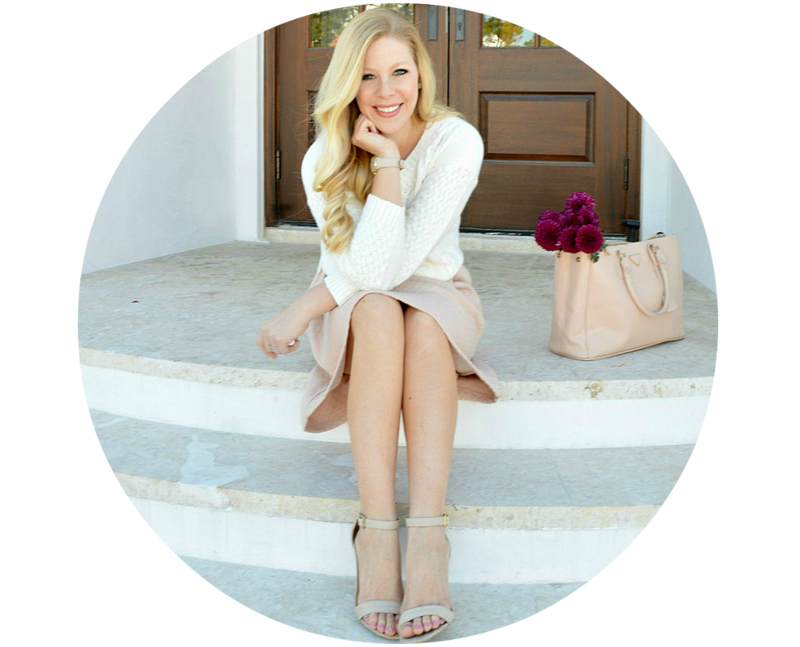 to follow each other on GFC, Bloglovin & Google+? Lemme know & lets keep in touch!